Buying a new home is exciting. Buying a brand new home can be even more so with the realization of being the first owner and possibly being able to choose your own layout and finishes. The prospect of owning new construction is definitely exciting, but it doesn’t come without its own set of questions. If you’re in the market for a new home, and considering new construction, make note of the questions below when you begin your property search. Unless you’re looking at custom homes on acreage, it’s likely new construction in your area will be located in a new development or in a master planned community. With this in mind, feel free to ask about the plans for the community. If it’s a large area, find out if any subdivisions are planned. If there are only a few houses built so far, it’s likely to mean lots of construction in the months to come – which means a lot of noise and construction traffic. Also ask about the builder – if they’re well known and respected, it’s unlikely they’ll lose funding and the community will likely continue on as planned. Many new developments and master planned communities come with a set of rules and regulations set by a homeowners association. If you’ve never lived in a community with a HOA, it’s important to find out the rules before investing in it. The bylaws and the CC&Rs will let you know what is and isn’t allowed in the community (especially when it comes to the exterior of your home). You’ll also want to find out when the HOA fee begins – in some communities, it can start before the home is even finished. New homes often come with different warranties. Ask if a workmanship and structural warranty come with the home. A workmanship warranty (or builder’s warranty) is a warranty for newly constructed homes that offer limited coverage on workmanship and components of the home like windows, siding, roofs, doors, plumbing, electrical and HVAC. Traditionally a workmanship warranty will cover a one or two year period; another likely warranty is a structural warranty, which covers the structure of a home. If a warranty is provided, make sure you know exactly what is and isn’t covered and how much you’re responsible for in case of any issues. Just as you would check reviews before buying an item online or booking a service, the same can be said for a home builder. Just because the product that’s being offered is a shiny new home doesn’t mean you shouldn’t do your due diligence and check references before making a large investment. While it’s likely that the builder will provide glowing reviews, checking reference and review websites and even knocking on the doors of current homeowners will provide additional information and give you a wider understanding of the builder and its practices. Talking to current homeowners will provide information about the actual community. If I could tell you only one thing when it comes to buying new construction it would be HIRE YOUR OWN REALTOR! The builders and their real estate agents are only looking out for themselves usually. For the average person, mortgages are super confusing. They are always changing and every lender has different programs and rates. The best thing you can do before you start searching for a home is to have a meeting with a reputable mortgage lender in person, not a company that you apply with on a phone app. My two recommendations would be Doreen Hansen with HomeServices Lending, soon to be Prosperity ( a Berkshire Hathaway company). Doreen has been in the mortgage business for over 15 years here in Kansas City and is great to work with with. The other mortgage lender I would suggest would be Katie Grimes with Fountain Mortgage. Fountain Mortgage is a locally owned mortgage company and they take care of their clients and customers better than anyone else in the business. Mortgage loans can be confusing and intimidating, especially with the number of myths out there about them. If you still have questions, your agent can help or refer you to someone with more knowledge – they may even have a lender they’ve worked with and recommend. Buying a home with a mortgage loan is still widely popular in the U.S. – don’t let the myths fool you out of achieving the goal of home ownership. As with every decision in life, there are pros and cons, and choosing when to sell a home is no different. There are many factors that need to be taken into consideration before deciding when to sell a home. Many homeowners believe selling a home during the fall or winter months is not a good idea and that the spring is the only time a house should be sold. This is the furthest from the truth. Certainly, most real estate markets across the United States experience a “spring market rush” every year. 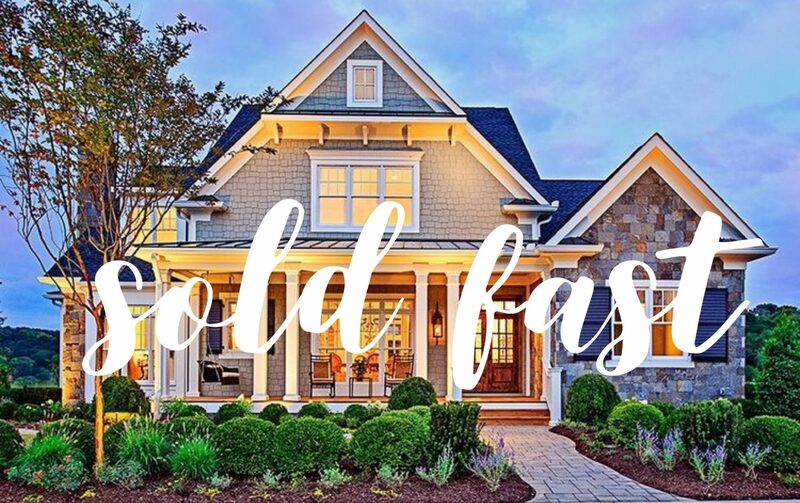 There is no doubt that the “spring market” is a great time to be selling and buying real estate, however, the fall and winter seasons may be the best fit for you for many reasons. 1. Less Competition, If Any! Simply put, it’s the supply and demand theory. If there are less homes for sale, there are less homes that a potential buyer can choose from, therefore increasing the demand for your home. Not only will less competition increase the probability for showings, but it will also increase the probability that an offer will be received, and you will get the maximum amount of money for your home. Right now, there are fewer real estate transactions than there will be in the spring. The fewer number of transactions means the mortgage lenders have less loans to process, attorneys have less closings to do, and home inspectors have fewer inspections to do. All of these factors should lead to a quicker transaction and closing for all the parties involved. One of the most frustrating things for a seller to deal with while selling their home is not getting answers in a reasonable amount of time. A quicker transaction is going to be less stress for you. By considering all the reasons above, you will be able to determine whether now is a good time to sell or if you should wait until the spring. It’s that time of year again, holiday parties, holiday events for children, booze, food, and presents! I do enjoy the holidays because we get to see so much of our families and my girls love any chance they get to see all their cousins. Well, for me, their is always delicious food and drink around as well. Let’s just say that if you are a master at making peanut butter balls, I would love you forever. So this year I started my new career in real estate and it has gone pretty well I think. I have learned A LOT and realized that there is much more stress than I was expecting. One thing I have learned that carries over to both my personal life and my career, surround yourself with like-minded people. People that make you better as a person. People that have similar goals. People that have similar morals. People that will make me better. Once I realized that I was letting the same people in my life upset me or make me feel bad about myself, I walked away. It took me years to finally realize that nothing was going to change on its own, I had to do the changing. Now, I’m surrounding myself with some awesome people and there is almost zero drama. I am almost 37 years old and there is no room for drama in my life (unless it’s from my 6 or 8 year old). I truly believe that it should be the same in your professional life. The reason I choose my current brokerage is because I wanted to work with some of the best people in real estate. I wanted to pick the brains of all these multi-million dollar producers who had been in the business for over ten years. My motto was, if I’m going to be the best, I have to work with the best. I think a lot of real estate agents get a bad reputation for being snotty, standoffish, and selfish. Believe me, there are plenty of those still in the business but for the most part, the successful agents are there to help. I have learned a lot from my fellow associates at RE/MAX and I don’t think I would have been as successful my first year if I had gone somewhere else. One of the scariest things about being a first-time buyer is the unknown. It’s probably one of the main reasons 90 percent of all buyers do hours of online research before deciding to buy a home. The entire process can be stressful. It’s complicated. It’s filled with paperwork. It’s most likely the biggest financial decision of your life. And it’s peppered with deadlines and boxes that must be checked or the entire deal can fall apart! Real estate agents are here to uncomplicate the buying process for you. An agent is your matchmaker: he or she will help you define the qualities of your dream house and work hard to turn that dream into a reality. And since they’re pros, they’ll manage the deadlines and check those countless boxes for you so you can make an offer on your dream house with confidence. A home purchase may be your largest financial transaction to date, so it’s important to make the right decisions and to keep an eye on the details. With the assistance of your Residential Mortgage Lender and real estate agent, it should be an efficient, pleasant, and ultimately rewarding experience. I am not a mortgage lender and I will never pretend to be. I ALWAYS encourage my clients to make an appointment with a reputable lender and actually sit down to go over all options. There are so many options out there other that just the typical Conventional, FHA, and VA loans. Contact Tracy Geer at First State Bank Mortgage for more information. Find her pre approval link on my website. Line the bottoms of 3 (8inch) or 2 (9inch) round pans with wax or parchment paper, grease with shortening and flour the paper and pans for easy release when turning out……carrot cake has a tendency to stick so be sure to use the paper. It’s healthy because it has carrots. Just go with it. Parkville, MO- Wines By Jennifer A hidden gem in downtown Parkville. Stop in to taste their featured wines of the month and listen to the stories of their travel. Don’t forget to join the Wine Club! Lawrence, KS- Lawrence is so pretty in the fall. Walk down Mass Street and check out all the local shops. Make reservations at 715 for dinner, my FAVORITE! For some properties, landscaping can make or break a deal. Unless you’re selling a real fixer-upper, your home’s yard is an important part of the real estate equation. If you’re looking to put your home on the market, or you’ve already listed and you haven’t had a lot of interest, use these quick and easy landscaping tips to help your property stand out from all the others. If your home has a yard, don’t be afraid of adding accents with pops of color. Many buyers prefer a nice green lawn; if you don’t have a sprinkler system, your local home improvement store will have easy-to-use and affordable sprinkler units you can hook up to a garden hose to help revive any dying grass (unless you live in an area where summer water usage is limited). You can also add color with flower pots: plastic or terra cotta pots filled with annuals are an easy, cheap and quick way to spruce up a drab entryway, driveway or front porch. You don’t have to go overboard, one or two pots can do wonders. Sometimes a landscape or outdoor area doesn’t need a complete overhaul to look brand new. When it comes to decks, fences, driveways, and any other outdoor surface that can accumulate dirt and grime, an easy way to freshen things up is with a good pressure wash. Pressure washing is cleaning a surface with a powerful stream of high-pressure water, much stronger than a typical garden hose. The water is strong enough to get rid of months and even years’ worth of dirt and debris on wood, masonry, brick and concrete. You don’t have to go out and buy a pressure washer – many home improvement stores rent them out, and for the cost of the rental and a couple hours of your time, your home could look like new! It’s important to note that you will want to test the pressure on the washer prior to spraying your home since very high pressure can remove worn paint. Sometimes all a home or a patio needs is a good wash and it looks just like new! While it’s highly unlikely you’ll have many people come and view your home at night, a great and easy way to add to your current landscape is with lights! Whether it’s adding a new outdoor lamp, or putting in walkway or path lights (solar ones are readily available and environmentally friendly! ), buyers love to see little details put into homes. Pathway lights are often overlooked by homeowners, but a home with outdoor lighting will always speak volumes to potential buyers. Spotlights are also a great and easy addition – LEDs can highlight specific areas, and complete units can be found for under $30. A nice manicured yard always rates highly among buyers. But if half of your yard is dead, despite being landscaped, it’s a good idea to ditch the dead plants. Take a couple of minutes each day to check out your yard – grass, flower beds, pots, etc. – and pull out anything that’s dying or dead. While it’s definitely a plus to have flowers and shrubs, if they’re dead, you’re better off getting rid of them than keeping them around because dead plants do not add to a landscape. Flower beds are a great focal point for any yard, especially when they’re a real show stopper. But if your beds look weathered or rough, they can be a definite turn off to potential buyers. An easy, affordable and sure fire way to spruce up a tired flower bed is by adding new mulch or other ground covers like bark chips or gravel to help make the beds look fresh and new. A yard that has fresh mulch will always draw in a buyer’s eye because the yard looks put together and cared for. Summer is a popular time for real estate and an even more popular time for your yard. If your home can benefit from a little yard TLC, don’t hesitate. The tips above are easy, quick, and they’ll certainly help your home stand out from the competition. In the past I have put new mulch out in the spring but forgot this year. The local home improvement store, such as Lowe’s or Menard’s, usually has great sales on mulch in the fall. Don’t forget to grab some colorful mums to brighten up your front porch. Not a DIY type, ask your friends and family if they know any local landscapers. You might be surprised how affordable they are! Once again Fall is quickly approaching and the first thing that comes to my mind is The Plaza Art Fair. This outdoor event takes place every September on the Country Club Plaza in Kansas City, Missouri. Nine city blocks are blocked off and hundreds of artists booths and Restaurant booths line the streets. The atmosphere is amazing! Although the event is considered family friendly, a word of advice; don’t take your small children (especially strollers) on Friday evening. Friday evening is considered the kick-off event and the streets are lined with everyone from the young adults to the older ones enjoying adult beverages. By 9pm, it’s extremely hard to move around the streets. Don’t forget to check out the 3 Live Stages with local and national talents. And wear your dancing shoes, you will need them! My favorite part of the art fair are the restaurant booths! The top eateries on the Plaza make special hand held sized portions of their main dishes for a great price. A steak sandwich with herbed goat cheese and balsamic onions from The Capital Grille. Yes please. Carnitas Tacos from The Oliver. Sure. Truffle Bacon Popcorn from Rye. Hells yes. Did I mention all different types of local beer, margaritas, and sangria? The fact that you are able to walk around the streets of the Country Club Plaza and try award winning food without having to spend an arm and a leg at the establishment itself. Perfect time to share with a friend and try it all while looking at some of the best artwork in the country. This year the event takes place on September 21st-23rd. Parking is crazy so I recommend taking an Uber or Lyft that evening so you don’t have worry about parking.